Listen.. you just can't go wrong with a good lantern. Why? Two words: versatility + ambiance. The end. Okay, okay, I'll elaborate. Here are a few reasons why lanterns are a wedding/special event decor necessity and why we're such big fans. They can help pull together any decor style you are going for. Vintage, rustic, traditional, modern, regal, woodsy, romantic... no matter the overall look you're trying to achieve, there's a lantern style for it. Using lanterns will not only complete your look but help you do it with less work because they are such a statement! If you're someone who considers themselves to be the "practical" type, you'll appreciate this last point. Lanterns are 100% multi-functional. They can double as decor for your ceremony and your reception (saving you some money!) and can even be used as home decor in the first little place you share with your spouse. I loved using lanterns as multi-purpose decor for my wedding day, and I kept a few to use on my coffee table, as an accent piece in our kitchen. and on our porch. On the day of the wedding, they served as both aisle decorations and reception centerpieces. My friend (who served wonderfully as our coordinator) assigned a few people to help move the lanterns from the church over to the country club for the reception. So doable and worth it! Obsessed yet? Check out our selection of lanterns here or you can shop by theme! 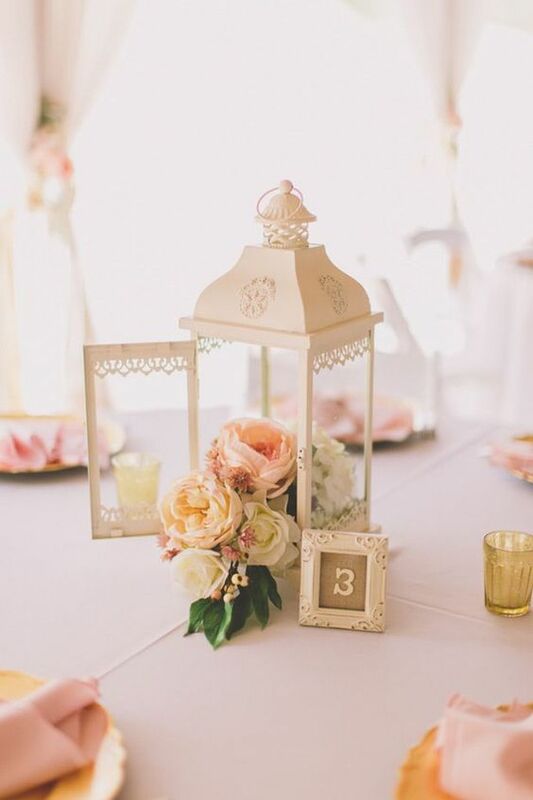 Follow us on Pinterest and Instagram @affordableelegancebridal for even more lantern love and inspiration. Tips For Choosing Your Wedding Veil III- all about color!